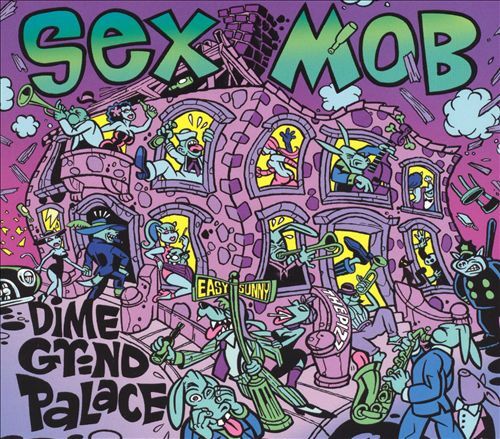 Now celebrating its 20th year, Sexmob (Steven Bernstein - slide trumpet, Briggan Krauss - saxophones, Tony Scherr - bass, Kenny Wollesen - drums) continues to deconstruct familiar pop tunes with subversive impunity. Everything from Prince’s “Sign O’ the Times” to John Barry’s “Goldfinger”, the Grateful Dead’s “Ripple”, Nirvana’s “About a Girl”, the Rolling Stones’ “Ruby Tuesday”, Buffalo Springfield’s “For What It’s Worth”, Paul McCartney’s “Live and Let Die” and ABBA’s “Fernando” is fair game for this band of musical renegades. And Bernstein is explicit about Sexmob not being a cover band. ”Covers to me means you play it exactly like the record,” he explains. “I just take songs that I feel have a great melody and do them in my style. 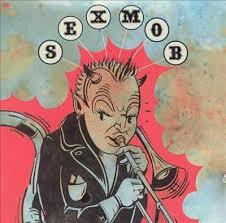 So I’ll pick a tune and tell the guys, ‘Let’s Sexmob this!’ And I realize that's what jazz musicians have always done. That’s how Lester Young and Charlie Parker and Miles Davis got popular. They played the songs that everyone knew. And because they could recognize the song then that invited them into their style." Bernstein and his Sexmob crew continue to push the envelope in delightfully subversive ways on their fiercely independent, self-produced new outing, Cultural Capital.